Why Manipal University is Building Green ? Manipal University believes universities have an accountability to the future. A special responsibility to address challenges as large as climate change by imparting sustainable values to the decision makers of tomorrow. Building green demonstrates our commitment to sustainability and gives us enormous peace of mind in knowing that the structures we are building are better for the environment, are healthier for the occupants and save money over the long term. Our buildings are designed to use energy and water in a significantly, more measurable, efficient way than conventionally designed buildings. 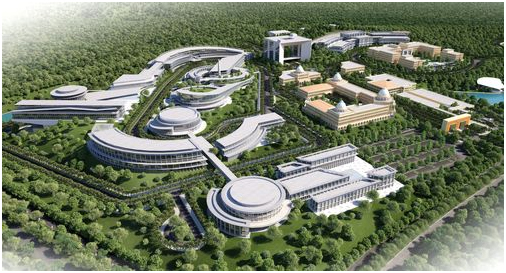 Our Malaysian campus is being designed with strategies and technologies that aim to improve the quality of indoor air, which could lead to improved student health, test scores and faculty retention. We want to develop environmental consciousness among staff and students alike.